There are plenty of natural alternatives to get sugar completely out of your diet and replace it with other, healthier products. All you have to do is to search. When we make coffee or a cake or a fresh juice and it seems sour to us, mechanically and without a second thought, we add sugar in smaller or larger doses. However, we know that sugar makes us fatter and it also harms our oral hygiene, but it can also take a toll on our health. However, we rarely think of ways to replace it. Search no more; here are 20 natural ways to replace sugar in your daily diet! It may not be as widespread, but this specific natural sweetener, can add a healthy sweet taste to our tea, coffee or some of our favorite beverages. It is produced by the plant genus agave (from the same plant tequila is produced) and has a flavor similar to honey. It may very well be a substitute for sugar, but in moderation, so as not to have again the unwanted effects of overdose. 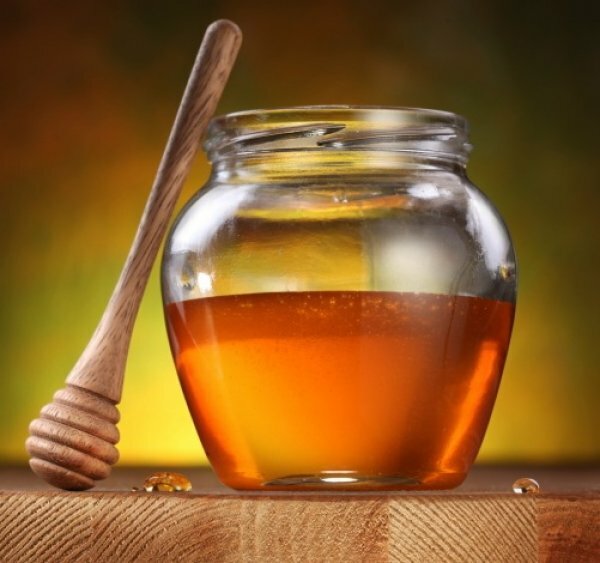 Valuable, beneficial and healthy, honey combines taste and significant nutritional value. It gives energy to the muscles, clarity in the mind, while it sets significantly the function of our digestive system. You can add it to a hot drink to comfort a sore throat in case of a cold. It is also very tasty when added to salads as a sauce or together with some other dressing. Dark thick syrup with a rich exotic taste, molasses comes from sugar canes. It is ideal for tomato sauces, recipes with minced meat, legumes, sweets with fruit and jams. Its nutritional value is also important, as it is a source ofiron, which contributes to the strengthening of the immune system and mental function. At the same time, it is a source of calcium, magnesium and potassium. Basically it is a good ally to a balanced diet. It is produced by brown rice and it can be used due to its ingredients, as a substitute of fructose and it certainly is more nutritious and healthy. It makes a good combination and it can be added to various pastries and cereal bars. The friends of gin and other alcohol drinks, can skip the extra dose of sugar and add a cube or a thin slice of lemon. You will not tell much difference, but you will save yourself unnecessary calories. For the necessary quantity of recommended daily amount of vitamin C, the solution is grapefruit. Either as juice, or as an addition to a cocktail or even soda, it will add a sweet and sour taste to your drink. They are small, sweet and highly nutritional. Rich in vegetable fiber and antioxidants, raisins add flavor and important nutritional value in food where added. Ideal for pastries, sweets but also for grilled dishes (for example: for stuffing). Are you cooking for some sweet, e.g. : muffins or a homemade cake? How about putting aside for a while the usual sugar and add instead the small “miraculous” cranberries? Since they are generally too sour to eat fresh, try canned varieties and use them both on sweet and saline dishes. Time to abandon the traditional paper packaged juices. There are simpler solutions: we add a little citrus in our carbonated water and in this way we reduce our appetite for food and at the same time we intake fewer calories. This is a favorite fruit, which is good for our silhouette as well. We can use the pulp of the banana in a cake and sweets or add fresh bananas in yogurt and milk. Have in mind that the more bananas ripe, the sweeter they become, so we do not need any additional sugar. These favorite summer fruit are rich in vegetable fiber, vitamin B and iron. Alternative ways of consumption are “mashing” them in a small blender and then adding them in a cool yogurt or otherwise use as a sweet “paste”, on a slice of wholemeal bread. You can replace sugar in your recipes with the same proportion of apple “pulp”. You can buy it ready made, but the ideal is to make it yourself, so as to avoid the unnecessary addition of sugar. Use homemade concentrated fruit juice during cooking. For example add your own made apple juice in your applepie. Rich in vegetable fiber and antioxidants, it is the right ingredient for nutritious and healthy desserts. Are you baking some sweet? Prefer to use fresh orange juice rather than sugar. A tastier, more refreshing and certainly more healthy option. If you are looking for something that will cool you off, the ideal choice is once again a freshly squeezed orange juice (you can keep it in the freezer when it is out of season). Next time the juice seems sour to you, avoid adding unnecessary sugar and calories. A small dose of soda, will protect you from the unnecessary consumption of sugar. Both milk and sugar in your coffee? Probably, you are not at all careful with your diet. The secret lies in the lactose in milk. So let’s add a little more milk and let sugar out. Green, with customary or more exotic taste, tea does not contain sugar by itself. But it can offer, if added to any drink or beverage, a sweet taste, as sugar would. A smart, healthy change for our drinks. Rum is not only the perfect drink for lovers of alcohol. Caramelize thin slices of pineapple into the rum and add it to yogurt or waffles, for a sweet and very nutritious dessert. Add some cinnamon to your morning coffee. The beverage takes on a special sweetness, while strengthening your immune system, without adding any calories. We dissolve cocoa powder into a glass of warm water or lean milk. It is the drink of the winter season and gives us all the sense of sweetness, without adding sugar and other fatty ingredients.